The Backpack Program provides food to children that are found to be most in need by school personnel and who participate in the school meals program at their school. For many of these children they receive very little if anything at all to consume during the weekend time. The mission of the BackPack Program is to help alleviate child hunger by providing hungry children with nutritious and easy to prepare food at times when other resources are not available, such as weekends and school vacations. The program provides backpacks filled with food that is child-friendly, non-perishable, and easily consumed. 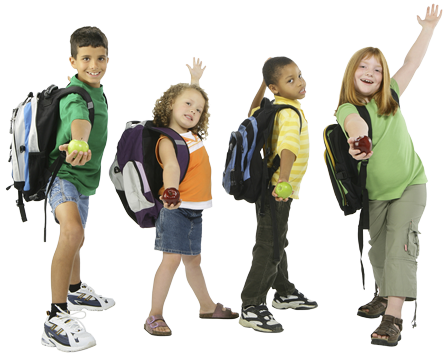 Backpacks are discreetly distributed to children on the last day before the weekend or holiday vacation. Each bag contains food that provides a child to have 3 meals a day during Saturday and Sunday when they are not in school. Each item can be prepared by the child if necessary. The need for the Backpack program continues to grow in our 11 county area. Support for the Backpack Program can come in the form of monetary, providing shelf stable food, or volunteering. For more information on how you can help support this program please contact West Ohio Food Bank at 419-222-7946. Fresh Produce Initiative Program (ACP) – Offers unprecedented donations of fresh fruits and vegetables, chickens and eggs from small family farmers throughout Ohio. Ohio Food Program– Offers nutritious, shelf-stable food with high protein items such as peanut butter, ground meats and tuna fish. These items are received throughout the year for emergency pantries/emergency meal sites. USDA- Federal Commodities Program- Provides a variety of nutritious food items to supplement the “food mix” in meals ‘bagged’ by emergency providers, or ‘served hot’ at meals sites provided monthly during the year along with produce when available. Disaster Relief– During natural disasters, in our 11-county service area, water, cleaning supplies, and food items are needed and provided to partner agencies assisting their community with disaster relief efforts.